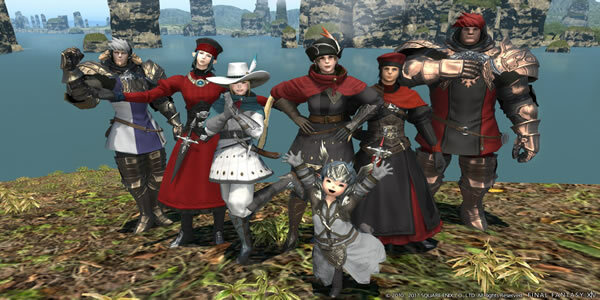 The new update of Final Fantasy XIV, Rise of a New Sun, will be launched on January 30. New content, new PvP content and much more. Today, the Square Enix released a trailer for Patch 4.2, you can watch the following video, and more videos and screenshots, you can view more at here. The update will add Omega: Sigmascape, the next arc in the Omega raid series, which will feature familiar faces from Final Fantasy XIV. On above the newest trailer, which teases most of the major additions and updates. If you are a PvP lover then you have a new arena and a new battle format to learn with your team. There are two brand new dungeons to explore, lots of new aesthetic goodies, and a main story quest to sink your teeth into. The Rise of a New Sun update rolls out for Final Fantasy XIV on PS4 and PC in a little over a week, on January 30. Final Fantasy XIV's 4.2 update introduces a new story scenario titled Rise of a New Sun, along with a new side quest called The Jade Stoa. The patch brings a new map and ruleset for PvP, a Duty Recorder to allow players to watch previous battles, housing updates for residential areas, and more. The patch will also add new main scenario quests, new Beast Tribe quests and new customization options for players. Rise of a New Sun, as the patch is known, features the next step in the Omega raid series, features two new dungeons, a new Trial against Byakko, one of the Four Lords, and plenty more besides. Thanks to the Warrior of Light's heroic deeds and Raubahn's long-awaited return, Ala Mhigo continues its steady march towards recovery. More information about the game, have a look at the following page: https://www.ffxiv4gil.com/.